A Future of Technology, or a Future for Science? 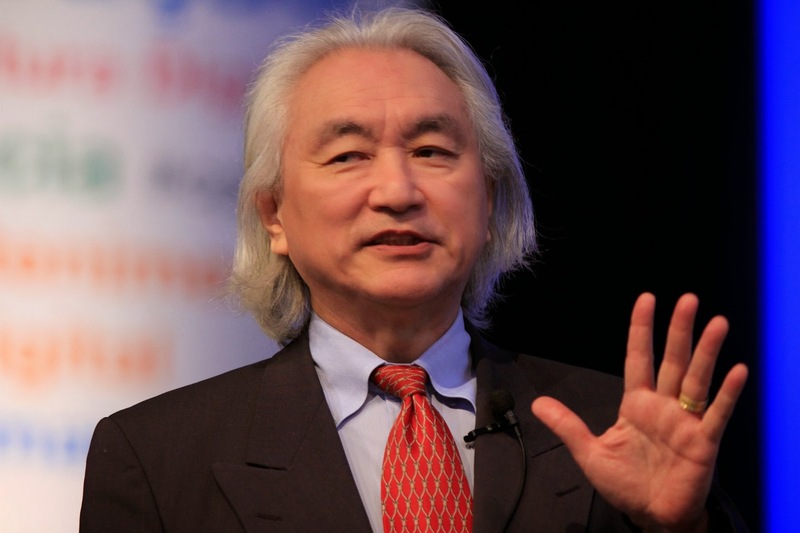 Just before Thanksgiving, acclaimed physicist, science popularizer, and futurist Michio Kaku had an article in the “Crystal Ball” section of the New York Times Opinion pages on his predictions — as a scientist — for the future. 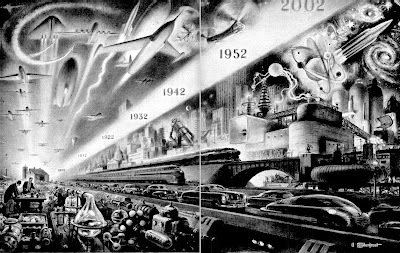 Kaku lists ten putatively great technological developments that we will achieve if only we can just “grasp the importance of science and science education.” But Kaku’s predictions of the future, which are just extrapolations from currently trendy technologies, sells science short in a way that is characteristic of much futurist speculation. From this list, you would get the impression that the “importance of science education” simply means that science will help us design better machines. Now, I don’t even really think that Kaku himself thinks this; he has written some decent popular science books on theoretical physics, and he is known for his activism on such science-policy issues as climate change and nuclear power, and for promoting such public-science endeavors as SETI. (Even if you do not agree with the positions Kaku takes on these issues, they are instances of science as a source of knowledge, not as merely the basis of technology.) It is clear that Kaku does know that the importance of science extends beyond its engineering applications, but it is almost in the nature of futurist writing to let one’s sense of certainty in the arc of technological progress overcome the curiosity and openness to new and unexpected knowledge characteristic of science. This is certainly the case with transhumanist writing, which tends to assume that better and faster versions of today’s technologies (which represent exponentially accelerating trends, after all) will be what define the future. Kaku’s vague and loose criteria for making predictions follow from having too much certainty — he insists only that “the laws of physics must be obeyed”(always a good rule of thumb) and that there exists some “proof of principle” example of the futuristic technology he is making predictions about. What kind of principle an existing technology proves can easily be overstated, however. To take one example, his prediction that we will have a “brain net” in which we will share memories and emotions the way we now use the Internet to share MP3s is based on some actual recent innovations in neuroprosthetics that enable paralyzed people to mentally control cursors on computer screens or robotic arms. These experiments show that there are mental states that can be channeled through electronics or computers, and so they refute the general principle “mental states cannot have an effect on non-biological prosthetics.” But just because that very general principle fails, that does not mean that there are no practical or theoretical reasons why mental states like emotions or memories cannot be transferred to computers. To think otherwise would be to give technological demonstrations vastly more theoretical significance than they deserve, as though they already settle a vast range of difficult theoretical problems — as though the job of neuroscientists in the future will just be working out how to build telepathic technologies for the “brain net,” and not thinking about theoretical problems like how different mental states relate to different brain states. The answers to problems like these will be the principles upon which technologies like Kaku’s “brain net” will either succeed or fail, and these problems have not yet been solved by scientists. Kaku’s discussion of the future of medicine suffers from this same excessive focus on current trends in technology without paying enough attention to the limits of what these technologies might be expected to accomplish. He predicts that people will soon be able to obtain whole genome sequences for $100, and he is probably not wrong about that — biotechnologists have been very good at improving the efficiency of DNA-sequencing technology. But sequencing technology has already far outstripped the ability of biological science to understand the function of genes. Take the recent story of the FDA putting the kibosh on the personal genomics company 23andMe, which today offers limited personal genetic testing (not whole-genome sequencing) for $100. Because 23andMe makes a number of claims about the probabilities that its customers will suffer from a wide variety of diseases, the FDA wants the firm to conform to the standards of diagnostic reliability of other medical devices, and 23andMe has (not altogether surprisingly) not been able to provide that kind of evidence. The big lesson from this developing story is not that the FDA is unduly risk averse and paternalistic (though it is those things, and that’s surely part of the story), but rather that we are far from being able to reliably interpret genetic information in a way that is both inexpensive and meaningful for patients and doctors. Those are scientific problems, not technological problems, and the fact that there are some examples that prove we can “in principle” know something about the effect of a gene on health outcomes does not shows us that we will. Unless we make some amazing and unexpected breakthroughs in our understanding of genetics, which will not come from faster DNA sequencing, the growth of genetic medicine will not be as dramatic as many futurists would have it. Our esteemed colleague Alan Jacobs pointed out on Twitter and over on Text Patterns that Kaku does not even mention anything about environmental problems like climate change that we seem sure to face in the future. Though Kaku as a scientist has been active in environmentalist politics, in this little scientific prediction of the future, which concludes with an exhortation to “grasp the importance of science,” he focuses on science only as a means for creating technology, and regrettably ignores the role science plays in instructing us in how technology can be prudently used. This is disappointing but not surprising. Environmental degradation is one of the inconvenient consequences of the unrestrained and unintelligent use of technology. 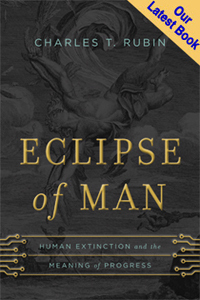 Our awareness of environmental problems, their scope, and of the sorts of technological developments or policy solutions that could plausibly mitigate or solve them comes not from technological progress as such, but from scientific knowledge as such. Ecology, geology, climate science, and the other disciplines relevant to environmentalism are, to use Francis Bacon’s language, light-bearing sciences more than fruit-bearing. Though they do not often lead to technological developments, they are nonetheless very useful, not because they give us power over nature, but because they teach us when and how to limit our exercise of the power we have over nature. To paraphrase another of Bacon’s well known aphorisms, to live wisely we must learn not only how to command, but also how to obey nature. The most fundamental aim of science is knowledge and understanding, which can usefully reveal things about the world even beyond the useful power it can give us to change the world. And then, of course, as Bacon recognized, light-bearing science is the necessary precondition of fruit-bearing science. This principle was also recognized by the always-prescient Alexis de Tocqueville, who advised that democratic societies, where all things practical are naturally pursued with great vigor, will need to direct their efforts “to sustain the theoretical sciences and to create great scientific passions.” Just as it is crass and counterproductive to justify the humanities in terms of such career-focused deliverables as “critical thinking skills,” talking about science education as a kind of magic wand that will let us transform today’s fantasies into reality or lead us to the “jobs of the future” cheapens and misunderstands the nature of the scientific enterprise. Cloning and the Lessons of "Overparenting"